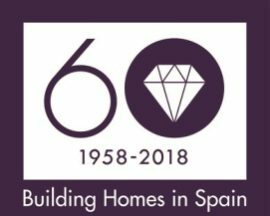 Taylor Wimpey de España have been building homes in Spain since 1958. We form part of one of the UK’s largest homebuilders Taylor Wimpey Plc. where we have been proudly building new homes and communities since 1880. With a focus on creating value and delivering quality, we build a wide range of new homes, from two-bedroom apartments to 3-bedroom villas. In 2017, we built more than 14,500 homes in the UK, and over 350 of these were in Spain. As a responsible homebuilder, Taylor Wimpey de España is committed to health and safety, environmental sustainability, providing excellent customer service and engaging with local communities. We have a strong legacy of developments across Spain with particular emphasis on the Balearic Islands, Costa Blanca & Costa del Sol. Taylor Wimpey España is the Spanish subsidiary of the leader developer: Taylor Wimpey plc, is a dedicated homebuilding company with operation in the UK and Spain. Our company has been building award winning homes that complement the natural beauty of the Balearics, the Costa Blanca and the Costa del Sol since 1958. When you consider buying a new home in Spain, we should be your first choice. So study our sites and the quality of the developments, for both a secure investment and a home that you can enjoy. We pride ourselves on understanding our customers’ expectations so that we can design communities and services that exceed them. You can be confident that you are dealing with experienced professionals. All our homes are sold with final building certification and guaranteed to have complied fully with all relevant planning permissions. All legal concerns or doubts can be answered and we can try and help you find the best mortgages available on the market, if necessary.